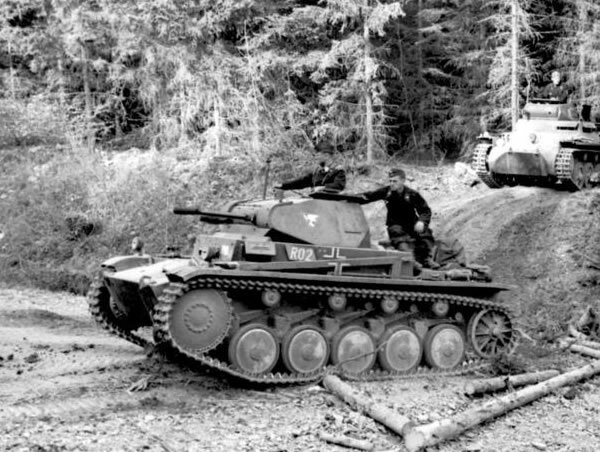 The Panzer II was the common name for a family of German tanks used in World War II. 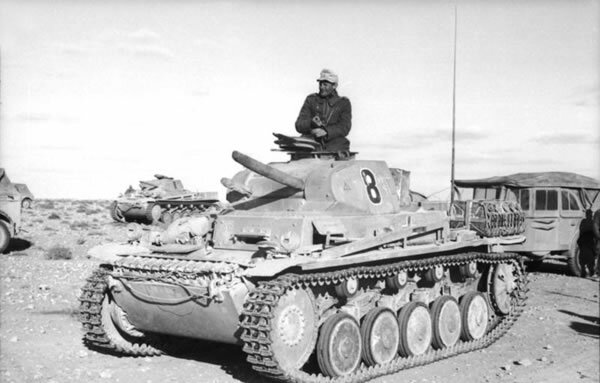 The official German designation was Panzerkampfwagen II (abbreviated PzKpfw II). 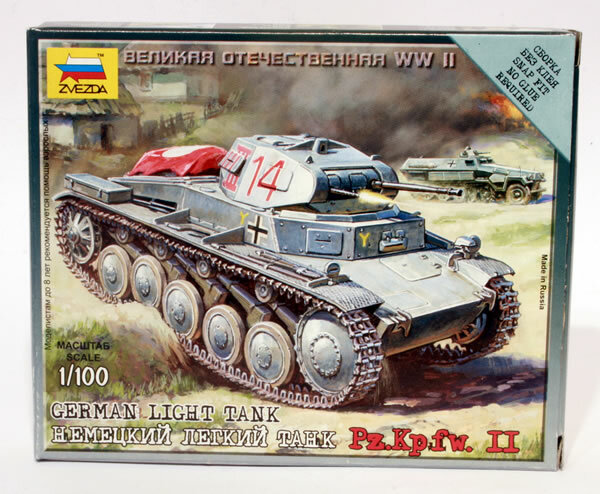 Although the vehicle had originally been designed as a stopgap while more advanced tanks were developed, it nonetheless went on to play an important role in the early years of World War II, during the Polish and French campaigns. By the end of 1942 it had been largely removed from front line service, and production of the tank itself ceased by 1943. 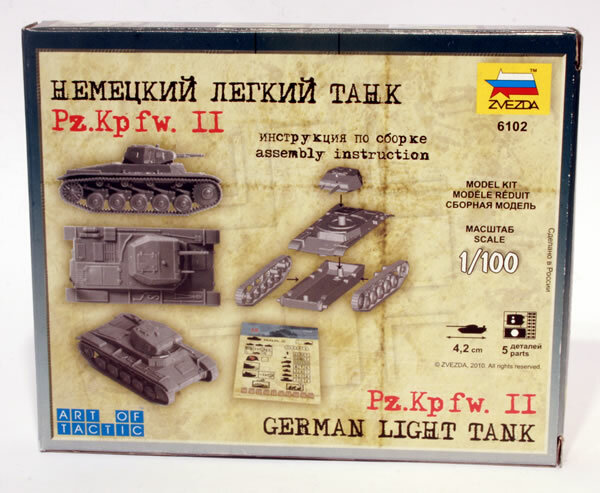 Though you can buy a resin version of the Pz II I was plesantly surprised to find a plastic 1/100th scale kit of the Pz II in a model shop for just £1.25. Bargain! Made my Zveda, a Russian firm, they also do a 1/100th scale RussianT-26. Alas the accompanying kits for infantry are 1/72nd and the aircraft are 1/144th. Would have been nice if the models were all in the same scale. It would appear from the back of the box that this was designed for some kind of miniatures game. 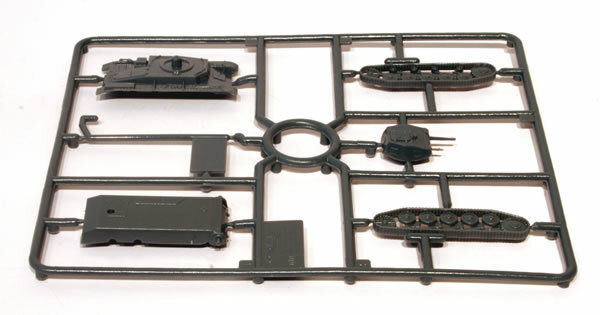 You get one sprue in grey plastic. I don't have any other 15mm Pz II models, so difficult to compare it to other 15mm models. I did manage to pick up three of them. I am going to make them up as PzKpfw IIs for the Western Desert.